Gene Dusan took a new job as bullpen coach for the New York Mets in 1983 and explained to The New York Times his old job. His old job, or at least his job outside of baseball: Substitute teaching. Dusan's stay in Queens ended up being brief. His connection to education, however, extended much longer. 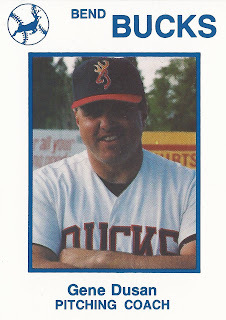 After he returned to the minors for several assignments, Dusan went on to settle in Bend, Ore., the site of one of his last coaching jobs. There, he continued his teaching duties and eventually became a middle school principal. Dusan's career in baseball began in 1968, taken by the Athletics in the first round of the January draft out of Long Beach City College in California. He started at single-A Leesburg. He then made single-A Burlington and briefly AAA Iowa in 1970. He returned to AAA in 1972. He ultimately played nine seasons as a pro, six of those with time at the doorstep of the majors. He never made the bigs. Dusan then turned to managing. He managed 1977 at short-season Batavia with the Indians. He then jumped to AAA for three seasons, then joined the Mets at single-A Lynchburg in 1981. "I remember him coming into my office after that incident and saying, 'You going to be at the ballpark at 3 tomorrow?' " Dusan told The LA Times. "Darryl rarely got to the ballpark that early, so I knew he was changed. From then on, I have never dealt with a better player." After spending his season in Queens in 1983, Dusan joined the Reds at AAA Wichita for 1984 and managed single-A Cedar Rapids for 1986. 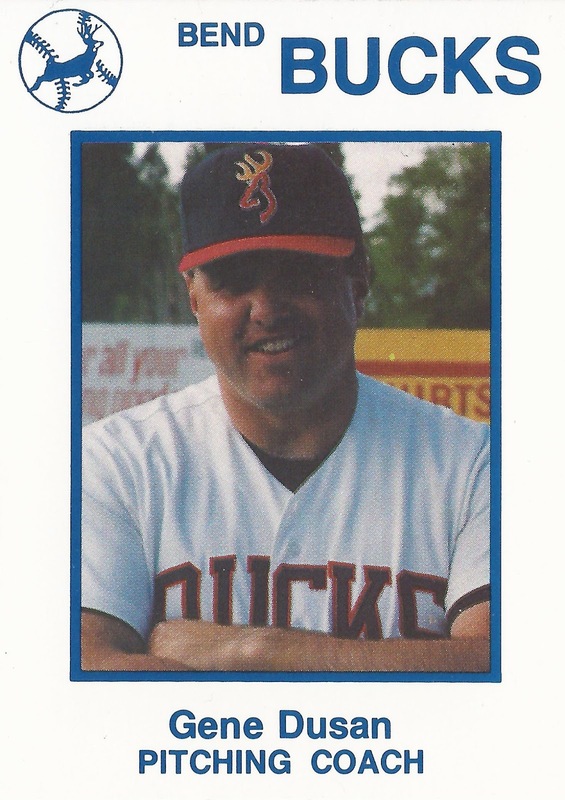 In 1990, he served as pitching coach at short-season Bend. One of his pitchers there, Jose Reyes, struggled in a move to starting from relieving, according to The Bend Bulletin. "Jose still needs to make the adjustment to being a starter," Dusan told The Bulletin. "He has to learn to go as hard as he can for as long as he can, and not try to pace himself. But he's going to be okay in a starting role." In 2005, Dusan was still in Bend, serving as principal of Pilot Butte Middle School.